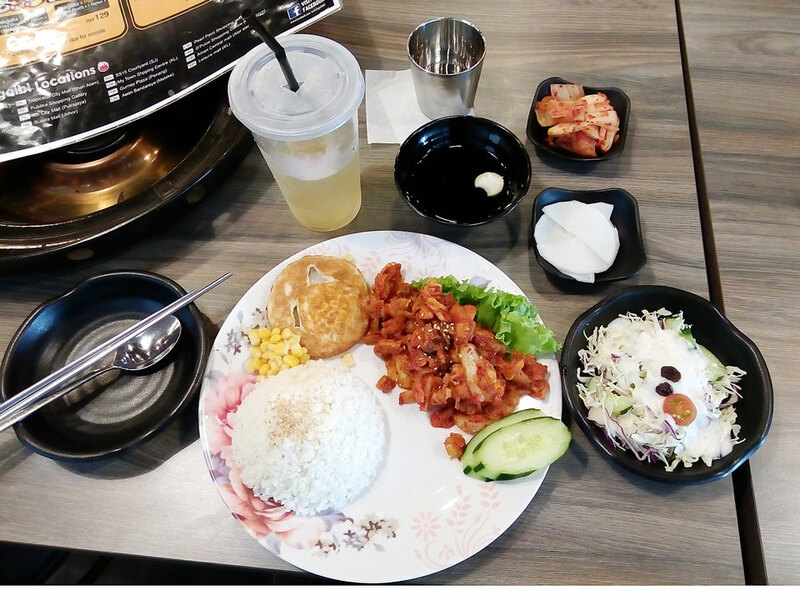 I went to the shopping mall I use usually, which on last Friday, and I had lunch at the Korean restaurant. 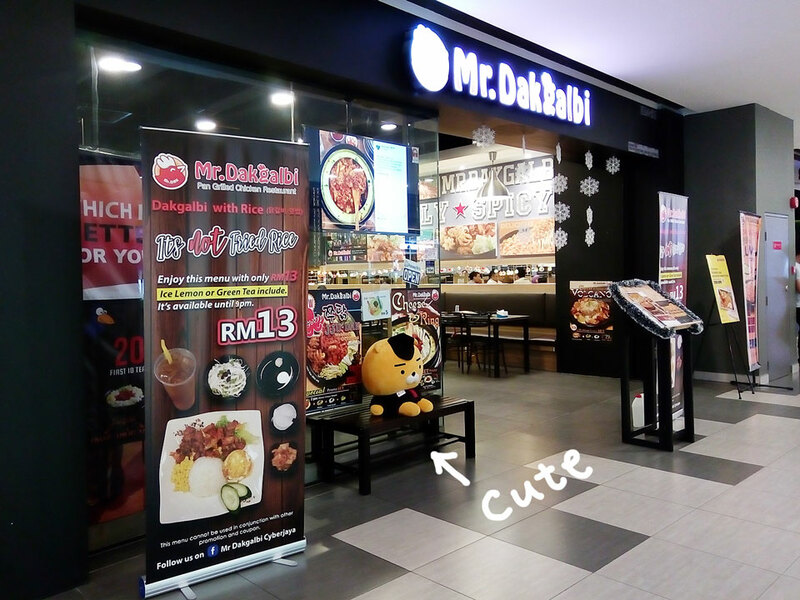 The restaurant name is “Mr. Dakgalbi”, it was the second time I visited. 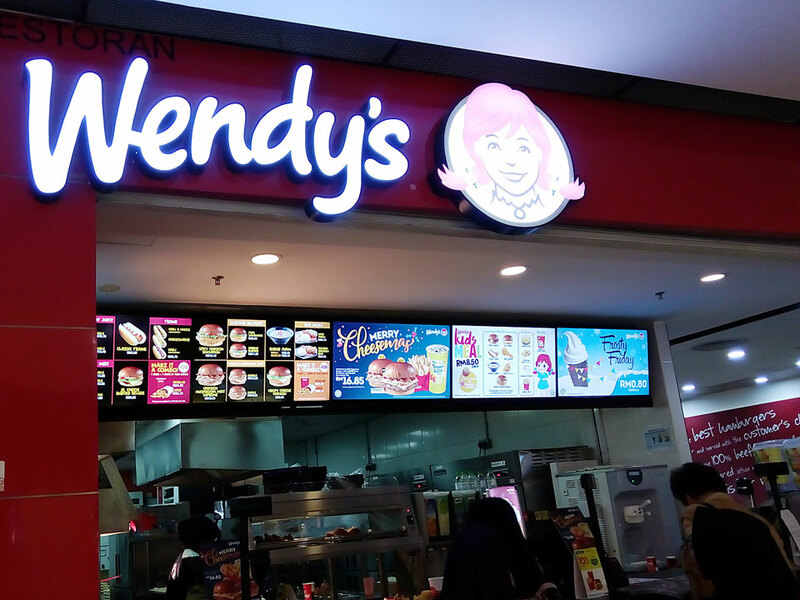 It has great services, the meal is good, staff members are so kind. It is nice that there is free wifi service at the inside, too. I ordered one set menu for lunch, which has Dakgalbi, deep-fried egg, two pieces of cucumber, corn, all of which are on one plate. Also, it has soup, salad, kimchi, daikon sweet pickle and one drink (I chose green tea). It’s 13RM (Included 6% tax). When I was enjoying eating, this restaurant’s owner asked me, ” &$%#”*+`}* ~ ???”. I couldn’t understand at all because he spoke in Korean. He realized soon I didn’t understand what he said, and he said “Sorry, you looked like Korean”. I sometimes am misunderstood as Chinese, but it was the first time I was misunderstood as Korean. The owner said, “Please feel free to have another helping of Kimchi, it’s free”. I thought it was so nice service, but I couldn’t have it because I was almost full. I really enjoyed the meal and checked with thanks. “Non” I showed a V-sigh. Then the owner stamped three seals on the card and gave me it, and said, “the next time, you can get one drink for free”. How nice of their services! 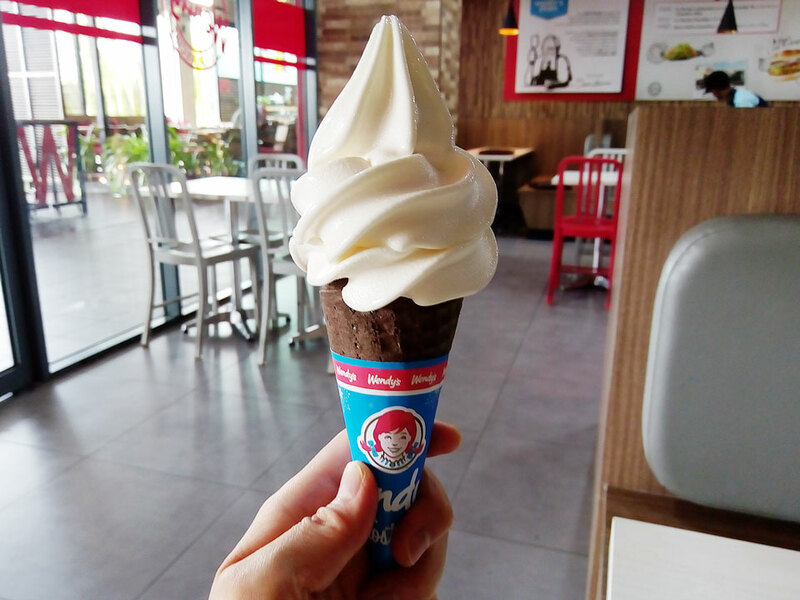 I had a Frosty cone (soft ice cream) for sweet at Wendy’s. It’s 0.85RM for on Friday only. There are many kinds of people in the Grab taxi driver, when I use the Grab-car last time, I met a fun driver. “Are you from Japan?” He asked me. He spoke a lot and asked me many things, but I couldn’t speak well. And thought if I could speak English…again. 珍しくBGMは日本語の曲 / I’m listening to Japanese songs unusually as BGM. 道路を渡るには度胸と俊敏さが必要のタイ / It needs to risk my life to cross a street in Thailand.